Launched by Google X, Google's secret facility responsible for projects such as Google Glass, the new project aims to bring Internet via. balloons. The goal behhind Project Loon is to bring Internet to places facing 'terrestrial challenges to Internet connectivity - jungles, archipelagos, mountains," says Google's official blog post. In order to do so, Google has been looking at being able to access new angles. In the blog post Google states, "It's very early days, but we've built a system that uses balloons, carried by the wind at altitudes twice as high as commercial planes, to beam Internet access to the ground at speeds similar to today's 3D networks or faster." Google ran a pilot trip last week in New Zealand with 50 testers trying to connect with special Internet antennas to the 30 balloons dotted across the sky. All balloons communicate with each other, creating a network in the sky, that transmits down to a base local Internet provider - making sure to filter out any other signals that are not Loon. "As a result we hope balloons could become an option for connecting rural, remote, and underserved areas, and for helping with communications after natural disasters." Project Loon was given its name because the idea of Google's new project may appear crazy, but Google promise there is solid science behind it. 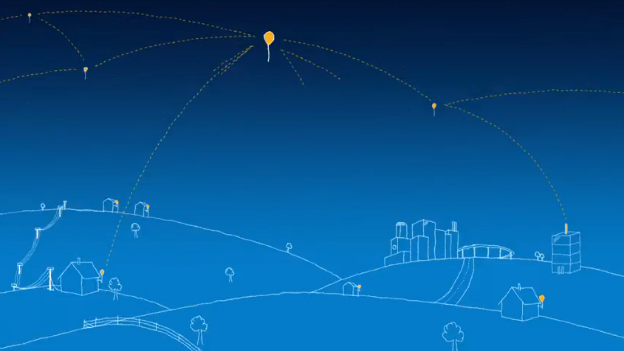 Watch more about the technology behind Project Loon below.